One of the main reasons that we homeschool is for the flexibility of it. Our “weekends” are three days long, Sunday for church, then Monday and Tuesday while the boys visit their biological dad. We also take an extended break from our traditional school in the winter. Our “Christmas Break” goes from the week of Thanksgiving through the first week of January. That’s much longer than our public school counter-parts, but we make up for it by homeschooling year-round. That doesn’t mean that the learning stops on turkey day and we never learn anything again until the New Year! We just weave our learning in more organically. These are some ways that our family keeps learning during Christmas Break. My kiddos are little, but I really think that this works with older kids as well. My two older boys love to help out in the kitchen, and the holiday brings a lot of opportunity for kitchen activity! The boys helped us cook our family’s Thanksgiving. We got to talk about why we have Thanksgiving, and why we choose the different foods that we eat. During December, we make a lot of cookies. We even have our own make believe holiday called Cookie Day where we bake over 200 cookies. This is perfect for incorporating math organically. We talk about fractions [loosely, because my kiddos are 3 and 4]. Also we talk about how the different ingredients mixed together and baked changes it into something new! That paves the way for understanding chemical reactions later on. I am not a crafty person, as much as I wish I was. My kids do not have weekly art time, though I hope they will at some point! With our extended Christmas break, I can use that extra time to incorporate more art into our day! Between making ornaments, decorating cookies, and making Christmas cards, there are plenty of opportunities this season to get artistic. Grandparents love to get handmade gifts, and kids love to be able to give them something they made all by themselves! The key here is to not be a perfectionist! I am totally guilty of trying to be a pinterest mom, but we are not that crafty family. Our crafts represent us, with all of our imperfections, and I wouldn’t have it any other way! Christmas break is filled with character lesson opportunities. Aside from the obvious teaching of Christ’s birth and advent activities, we teach our children the spirit of giving during the holidays. Every grocery store trip with a bell ringer is a reminder that there are people out there who have less than we have been blessed with, and we should always offer what we can to help them. We also gather up some good quality toys from our toy box to donate to children who don’t have as much on Christmas as we do. Also after our Cookie Day celebration, we take extra cookies to the local fire department to enjoy! We also have a lot of talks about how much fun it is to give on Christmas with the hope that our children will grow up more excited to give on Christmas than to receive. 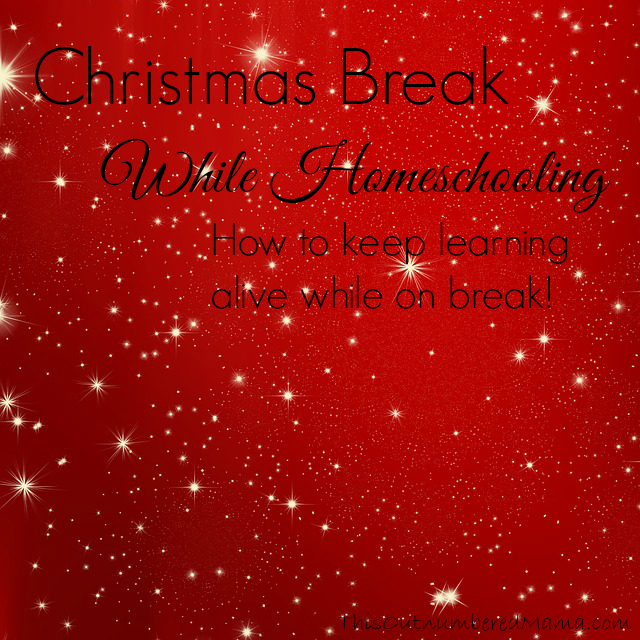 Do you homeschool through the holidays or take an extended break? What ways to do you keep learning at the front of your mind when you’re on a break from “formal” schooling? Let me know in the comments! We do homeschool! We are only taking a 2 week break though because we just moved into a new place and that took about 2 weeks from our school routine already. Like you though, we don’t stop learning. It is just a little less structured! I completely understand that! 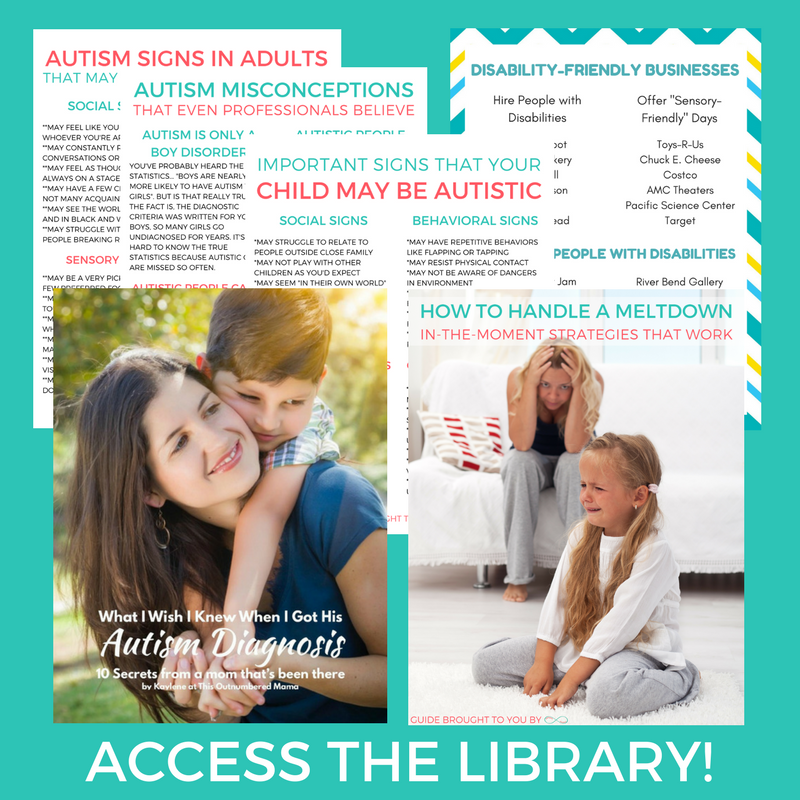 We have been thrown off course often this year with beginning different therapies with my two youngest. It’s so important to know that the learning doesn’t stop ever. Homeschooling is a lifestyle, not a classroom. Our learning just looks a little different! Thank you for stopping by! Have a Merry Christmas!